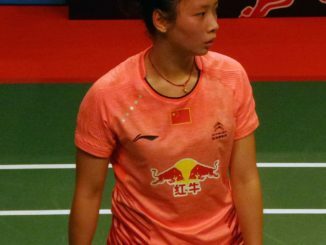 I m a fairly talented allround badminton player with a good technique and feel for the ball. Nowhere near national top level, but given my training frequency…quite good. And I always thought a good badminton racket for intermediate players would suffice for me. So I would always go for the price range of 60 to 100€. The Astrox 88S comes with a standard black full-cover and looks pretty stylish, yet understated. 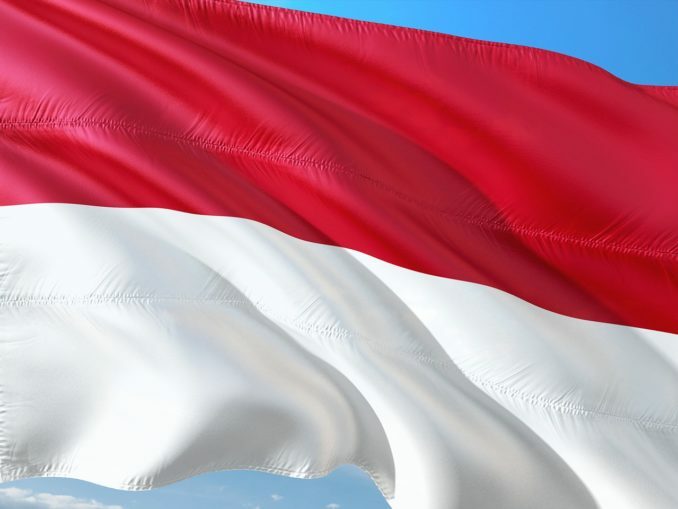 It is dominated by the beautiful color of emerald green, mixed with a little red and black, all colors are not too bright. This fits the quality of this racket and looks kind of classy. It is made from H.M. Graphite, Nanometric and Tungsten and has a stiff racket frame. It is slightly head-heavy balanced and the weight class is 4U (83g). The grip is available in sizes G4 and G5. This is clearly an absolute high end Badminton racket, which is worth the price. If you have never used such a pro level racket before and always played with a racket for intermediate players or beginners, you will instantly notice the difference. However, keep in mind that you need the right string!!! My racket actually came with the wrong string type. Some thick Ashaway string with focus on durability. So when made the first hits with my brand new Astrox racket, I was pretty disappointed and bewildered. This felt like a racket from the supermarket around the corner. So I went straight to my string guy and he told me that this string on an Astrox 88S is like driving a Ferrari with bike wheels. He restrung my racket with a very thin high-end Li Ning string that enables much more power and control. So back on court for a new try. And what can I say, it felt brillant. I cannot stress this enough: The right choice of string is important! Don`t go for a standard string like Yonex BG 65. That wont do justice to this racket. You have to sacrifice durability of the string to a certain extend. Go for a thin high-end string to unleash the full potential of the Astrox 88S! Another advantage of such a string will actually be the sound. I am sure, many have wondered, why the hitting sound of the professional players is so much cooler than the dull sound that beginners or intermediate players produce. Well, the cool slightly metallic sound comes from the clean hitting of the pros first of all. But also from the racket frame and to a big part from the thin high-end strings! So when you have such a string on your Astrox 88S, you will have that metallic sound and it feels pretty cool to produce that sound. You will even focus on hitting the sweet spot as often as possible in order to get that pure sound. So all in all, this racket feels simply great! 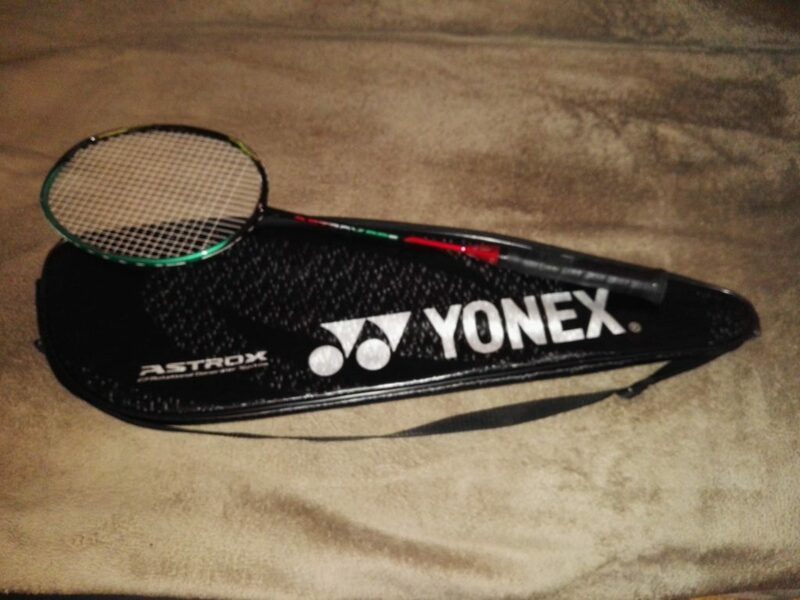 The marketing text of Yonex promises that due to a special technology the Astrox 88S will hold the shuttle a split second longer on the string bed than other rackets. Thus giving you more time to feel and direct the shuttle to the desired spot. Watching Sukamuljo at the net, you might actually believe that. And I also have to say, Yonex does not lie here. I sometimes step into an opponents smash and it feels easier to take the pace out of it and place it perfectly close to the net. This racket definiteley requires a really good hitting technique. You need to know about using the fingers and quick forearm and wrist motions. Otherwise it wont make sense to choose this racket. 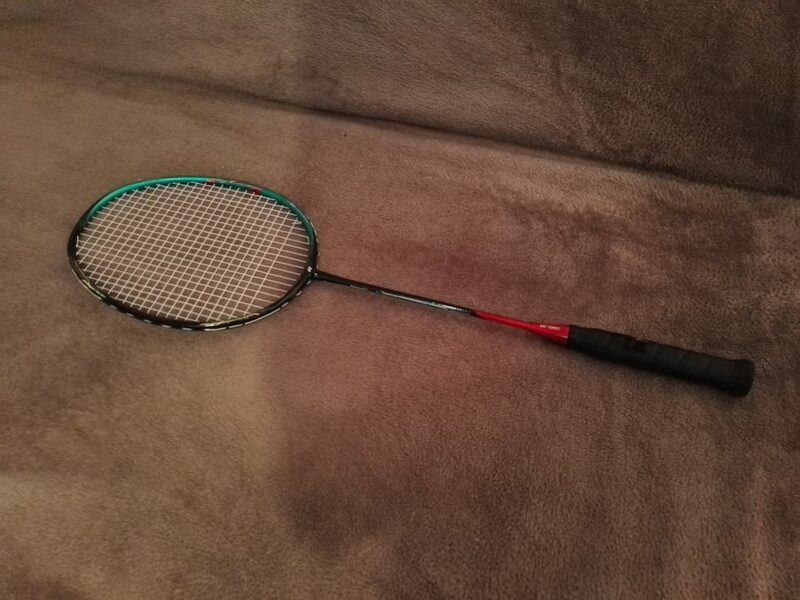 So if you are a player, who always hits with the whole body and your technique is still more on the crude side, look for another badminton racket. The thing is, that you need to give the Astrox racket the chance to work for you. And it really shines, when you use short, precise and quick moves with your wrist and fingers. It will not shine with wild and long hitting motions. The slightly head-heavy balance supports good and solid clears. You wont have trouble getting the shuttle to the back line on the other side. Good and fast smashes are possible, if you hit the sweet spot. But this is not the main strength of the Astrox 88S. If you want to dominate the back court with relentless power smashes, you should go for the Astrox 88D. Great drop shots can be made, actually everything that needs feel for the shuttle, can be executed damn well. You feel like you can hit drops in various styles, with different flying curves and paces. This is, where the Astrox 88S really starts to shine. It feels very light-weight and is well to maneuver. Additionally it provides lots of speed and control when the shuttle leaves your string bed. You will almost desire fast drive duels, because it is so much fun with the Astrox. The shining continues with the net game. If it`s pushes to the mid court area, tumbling net shots or brushing the shuttle over the net, the control that you feel is just amazing. Another area where the racket is top nodge. The split second the Astrox gives you before releasing the shuttle, helps a lot when turning defense into offense. And the stiff frame, which needs only very little movement to unleash power and length, helps as well, because you have so little time when defending smashes. The Astrox is probably more of a Doubles racket. Designed specifically for the front court player or playmaker of a doubles pair. The one who is responsible for the soft shots and creativity. However I hear Victor Axelsen and Jan O. Jorgensen are using it or have used it in the past very successfully. Apparantly Axelsen even won the World Championships with this racket. And it wouldn`t surprise me. Its a good allround racket, although for pure power there are certainly other rackets ahead. I guess many singles players will go for a head-heavier racket, which would provide more smash power and shot length. But for most of us -on intermediate or beginner level- the Astrox is definiteley great for singles as well. Simply because it will boost your net game and precision. Very much needed in Singles as well. Only if you have trouble generating length in your strokes, I would suggest you go for another racket. Well, I love this racket and am astonished how much it makes you help or even urge to play the Kevin Sukamuljo style. Of course for most of us on a much lower level, but with this racket I always have the urge to step into the net and intercept fast shots by the opponents. A clear recommendation from me, if you can afford it. Its certainly not the cheapest of rackets, but simply worth the money. 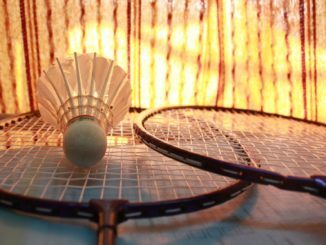 If you can handle it with the right technique, the Yonex Astrox 88S Badminton racket is a great support on the Badminton court!